Okay, maybe that doesn’t look so bad. Let’s try another angle. Ew, right? Have no fear, it only means that your starter has separated, and it’s your job to bring it back together. Looking at a separated starter for the first time, your brain may cease to function. It just doesn’t look right, does it? You’re convinced something is wrong and might even be tempted to pour it all down the drain. Don’t do this, unless you want to see all your hard work disappear! The problem is simple. You starter is hungry. In traditional sourdough terms, that funky stuff is called hooch. It’s a naturally-occurring alcohol that forms when your starter needs to be fed. This isn’t something you’ll see if you’ve been maintaining your starter regularly, but more when, oh, maybe you’ve forgotten to feed your starter for a while, or perhaps forgotten to feed it for a LONG time. You might have even forgotten you had a starter tucked back there behind the salt and pepper. Ahem. If it’s on the surface, just pour if off. If it’s in the middle of your starter, go ahead and get rid of that top portion of starter as well. Next, feed your starter as if it were Day 6. One cup flour, one cup sugar, one cup milk. 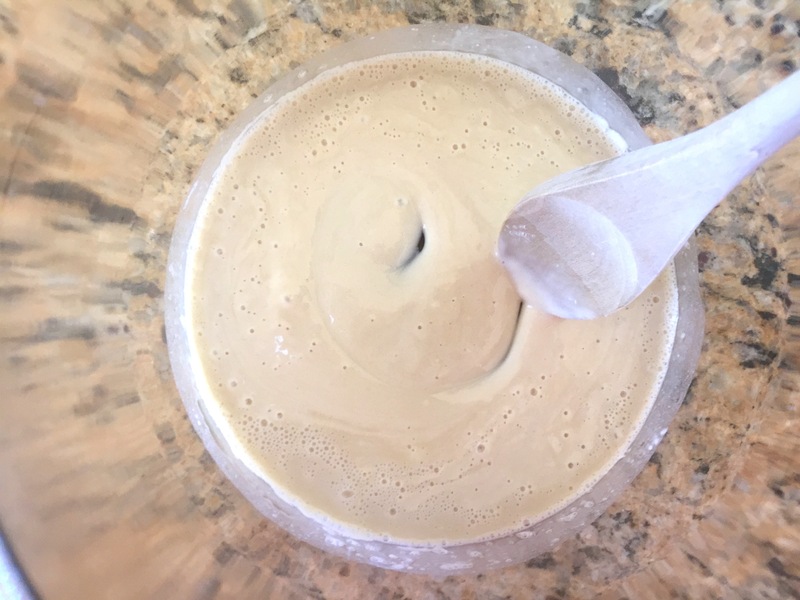 After a few turns with your wooden spoon, your starter will get happy again. Mix well and store in a warm area of your kitchen. Disaster averted! Leave your starter to do its thing and remember to give it another stir later in the day. One to two stirs a day will usually do the trick, incorporating everything together so your starter will be ready for action when you are. Note: This applies to Amish Friendship Bread starters that have been maintained daily and fed at the proper ratios. 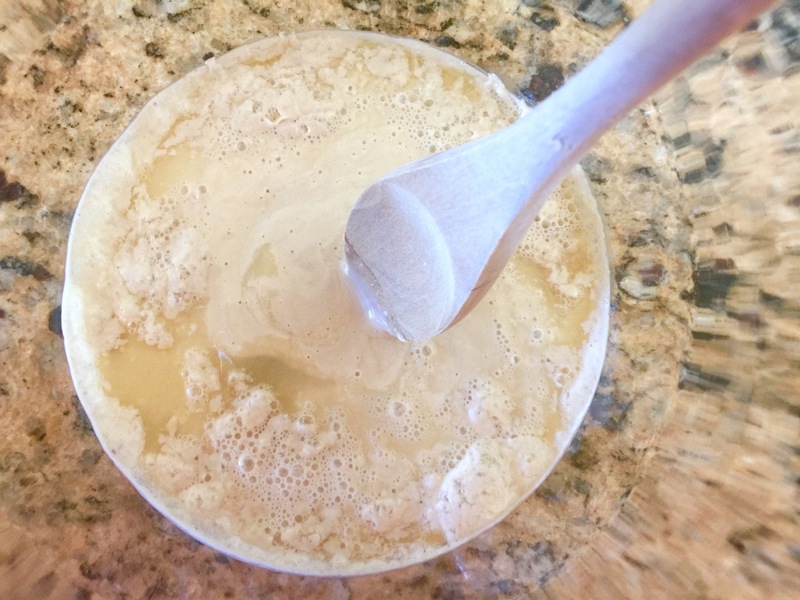 If you’ve forgotten to feed or take care of your starter, or if you are feeling nervous about the overall health of your starter, I recommend discarding it and making a new starter from scratch. I Added the milk, sugar, flour on the the wrong day, will it be ok? Yes, in fact, it’s probably happier that you’re feeding it more often, Cynthia! 🙂 Just adjust the calendar moving out, and you’ll be fine. I really messed up. So, to start it off I added water to my day 5 feeding instead of milk. It separated. I panicked before I saw this post and fed it another two tablespoons each milk, sugar, and flour. It has never been really active. I have tasted it and it tasted fine. I’m waiting to see if it picks up at all. I have a fairly drafty kitchen and leave it in the oven with the pilot light on. I also have to state that I didn’t start my starter using yeast, this is one reason I feel it might not be real active. Have I messed up enough the starter is trash? Sometimes these sourdough starters aren’t easy. I feel for you, I do! It’s hard to start a starter from scratch, and if your starter was never active to begin with, it’s really hard to “revive” it to a more bubbly state. 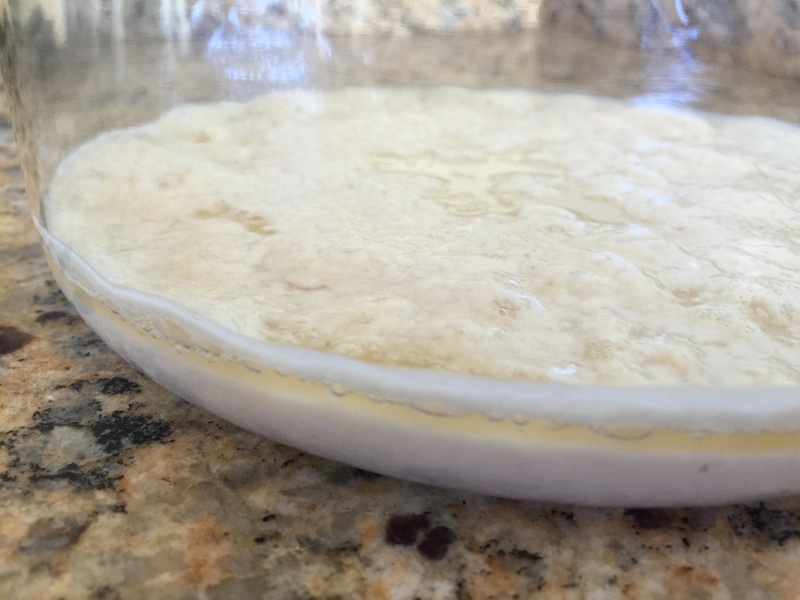 At this point, unless you are really married to this starter, I would just start from scratch and use commercial yeast to give your starter a strong start. Go through a couple rounds of feedings to get it nice and robust, and maybe tuck a cup away in your freezer (usually when it’s at its most active state, the first 24 hours after a feeding) as backup. If you want to try to make this starter work, you need to give you starter a good Day 6 feeding — 1 cup flour, 1 cup milk, 1 cup sugar. Since you already gave it 1 cup water, then just add the flour and sugar, and keep it covered and draft free. Keep me posted — good luck! Thank you so much for your quick reply! I think it’s probably time to divorce the starter and start from scratch using your suggestions. It seems to continue with this one is a waste of materials. With any luck the new starter will work. I don’t know why any type of sourdough starter gives me such trouble. I can bake bread of almost any other type and consider myself an intermediate baker, but I just can’t get the sourdoughs down yet. However, I just say, that with people like you who are willing to help and inspire it keeps people like me trying. Thank you so much for your blog and support. My 8 year old made two batches for her 4H group, but did them one day apart. Well she accidentally mixed up the bags, and did a “Day 6 addition” to the same bag twice. She added the milk, flour and sugar to it on day 6 and day 7. What should we do from here? Can I use my sour dough bread starter with this? I made my first batch. I have 2 loaves cooking and 5 bags. Do I refrigerate the bags until ready to use? Also, do I keep you bag and continue the 10 day process to keep it going? Hi Melanie! You would freeze the bags unless you plan to bake in 10 days, in which case you would have to feed all 5 bags (and leave on the counter, not the fridge). Putting it in the fridge slows down the fermentation process but doesn’t stop it like freezing does. If you know you want to bake again but don’t want to bake immediately, I recommend freezing all of the bags and take one bag out the day before you want to bake. Help, I have mixed up my days today is actually day 11. Is it still okay to proceed as if it’s day 10?? Hi Dana! In a word, yes. Amish Friendship Bread starter is pretty hardy, and if you missed Day 10, never fear. Simply feed your starter as if it was Day 10. As long as it still appears active, healthy, and bubbly, your starter is still good! I just made my first 2 loaves of bread, but forgot to put in the oil. It looks good , but will it be dry? Hi Judy! That depends — if you used the pudding, that will help with moisture, as well the 3 eggs, but I would expect they will lean on the side of a little dry. I do know lots of people who reduce the amount of oil in the recipe and don’t notice any difference. You might want to make sure you don’t overtake the loaves as well. Let me know how it tastes when you get a chance!